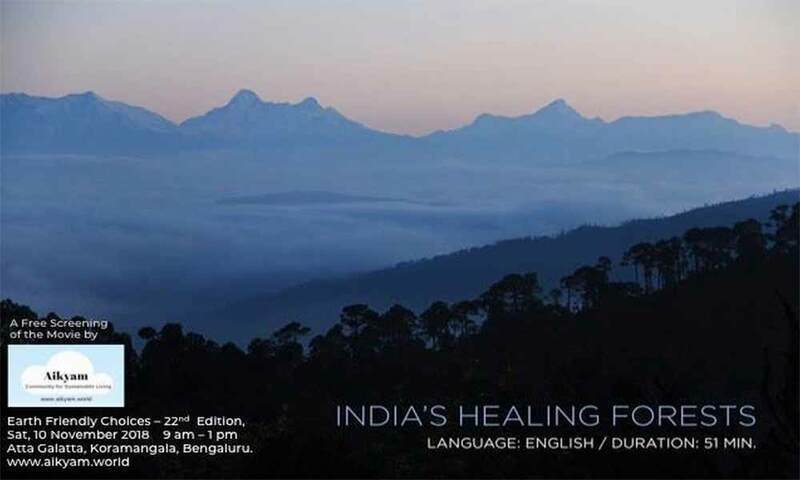 The screening of the movie 'Healing Forests of India' will be held on 10th November in Bangalore, Karnataka. Earth Friendly Choices happy to announce the screening of the movie 'Healing Forests of India', the new release movie which is getting great reviews! Come to join us for a preview! And we are lucky to have Sheeba Sen, who has incidentally been featured in the movie, to talk to us about her adventures at Alaap, an NGO she has founded to revive the forests of the Himalayas. And we have Kshitij Urs, head of Greenpeace India, who will talk to us about "Cities in the times of climate change - Opportunities and urgency"! Let’s Meet at Atta Galatta!